The month of May just arrived and it is going to be a-MAY-zing!! 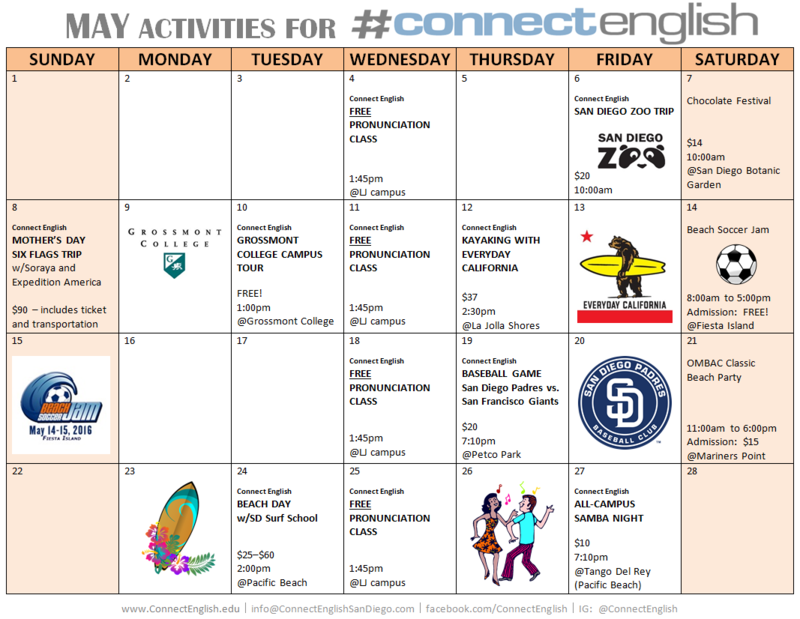 There are excellent educational experiences around San Diego every week for our students. Everybody can participate!! Stop by at the front desk to sign up.